The Short Version: The inspiration for the 1 Second Everyday app came while Cesar Kuriyama was enjoying a whirlwind year off from work. On his 30th birthday, Cesar began recording daily one-second videos of his experiences traveling, reading, bar hopping, and spending time with family and friends. In 2013, he created an innovative app to help singles, couples, and families to document their own lives and encapsulate the joys of everyday experiences. At age 28, Cesar Kuriyama worked 100 hours a week on average for his advertising job. But he wasn’t working those long hours because he loved what he did. His job consumed his time and didn’t leave him with a sense of fulfillment. In 2011, Cesar Kuriyama left his advertising job so he could spend time doing what he loved, and he has never looked back. So, Cesar crunched the numbers and began saving up enough money to take a year off starting on his 30th birthday. Two years of frugal living paid off, and by February 2011 Cesar was able to leave his job and pursue his passions. Cesar wanted to document that incredible year, so he would always remember it, but he knew he didn’t have the discipline to keep a traditional diary (he had tried and failed to do so before) — so he kept a non-traditional video diary. Every day, Cesar would quickly record one second of laughter, food, friendship, beauty, or whatever struck his fancy. The final six-minute compilation video condensed his year into the moments worth saving and gave him an opportunity to reflect on how he spent his days and what mattered to him. Cesar changed his life by taking time to enjoy each and every day with the people he loves. As fate would have it, TED launched its first-ever TED talk auditions during his life-changing year, and Cesar seized the moment and applied. He submitted his audition video just minutes before the deadline. 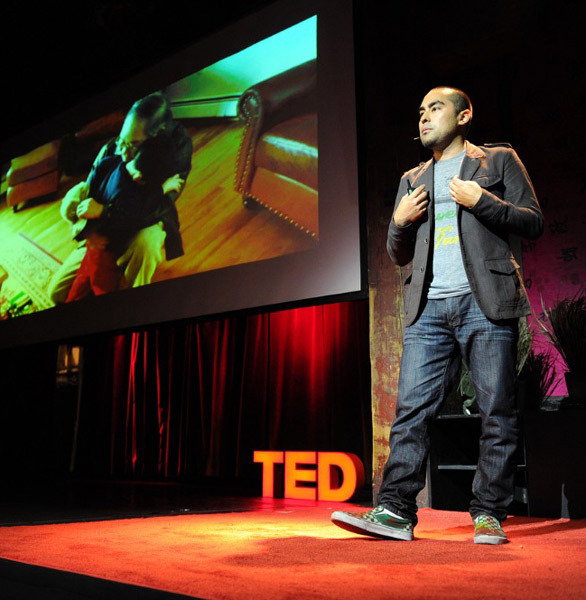 His original and inspirational message earned him a coveted spot among the speakers at TED 2012 in Long Beach, California. The next phase of his journey was about sharing what he had learned and empowering others to follow in his footsteps. 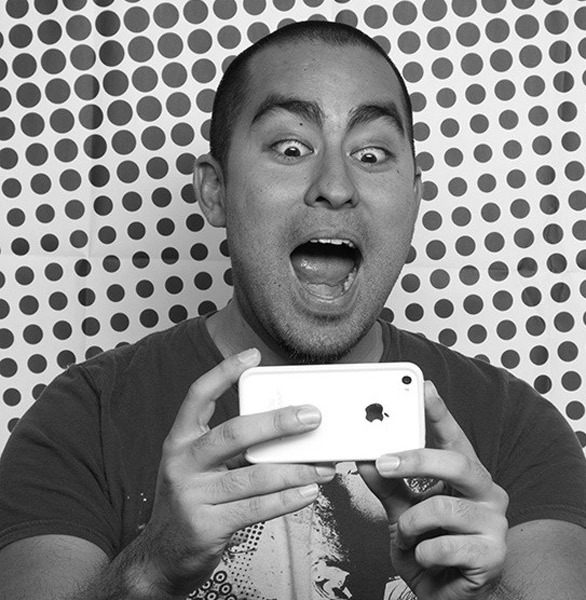 In 2013, Cesar gathered a team of imaginative developers to turn his vision into an app. They began working on the 1 Second Everyday app to support video diaries made by people all over the world. They created a Kickstarter campaign to fund the project, and it turned heads by gaining the most backers ever for an app. Over 11,000 people supported the campaign and made 1 Second Everyday a reality. Cesar went back to a corporate advertising job for one day before packing up and deciding to live life more adventurously and ambitiously. He has spent nearly eight years of his life recording a video every day, and he said that experience has changed how he views his life and makes decisions for the future. When you see your life packed into small moments, you realize the importance of making every moment count. And that’s Cesar’s ultimate goal both personally and professionally. The 1 Second Everyday app supports this vision by making it easy to record, store, watch, and rewatch one-second videos of your life. 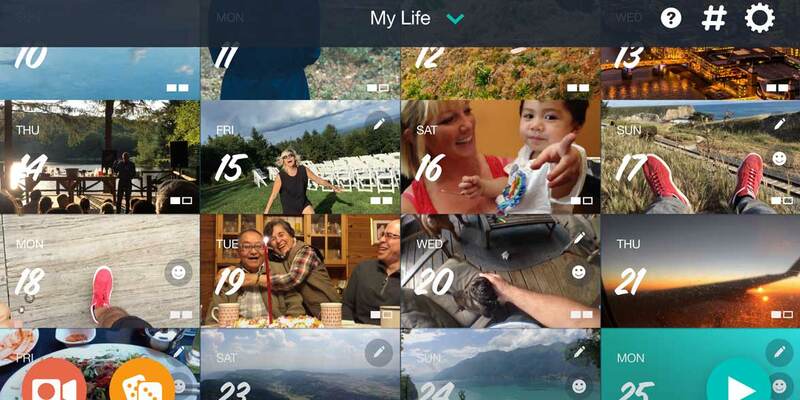 The app organizes videos on a calendar and automatically compiles them into a year-in-review video for users. The app appeals to users of all ages — from teenagers to grandparents — and can save hundreds of memorable experiences in a convenient, high-tech way. You can savor those little moments that mean the most by recording and watching brief videos on 1 Second Everyday. It’s a chance to take a step back from the chaos of family life, the demands of work, and the general stress that can cloud our view of the big picture. Those seconds of reflection allow couples to appreciate their relationship and all the happiness that comes with it. Many parents use it to keep track of their constantly growing children and their milestones. You can use the app to save those precious moments with your significant other and create a video that’ll mean something to both of you. If nothing else, the app gives you a reason to take a moment at least once every single day to appreciate the world and the people around you. 1 Second Everyday’s calendar of personal videos prompt people to think about how they spend their minutes, hours, and days. The app offers a rare opportunity for reflection in the middle of a hectic life without being too intrusive or time-consuming. It only takes a second a day to make the videos, and the final compilation of a year will run a little over six minutes (365 seconds) long. The end result can be really powerful. You get an overarching look of your life, and you can relive the big and small moments that shaped your experience. You can watch a child grow up before your eyes or take in a year’s worth of sunsets in a matter of minutes. You can make the video into anything you want, anything that matters to you, and the final video is uniquely personal because of that. 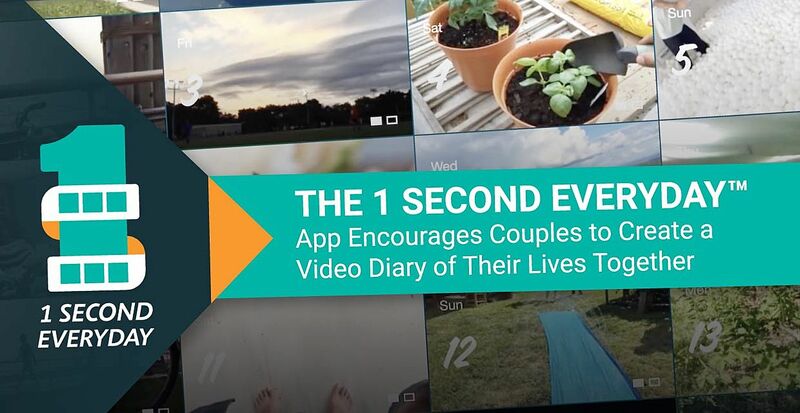 1 Second Everyday empowers people to record and recall the important moments in life. Whether you’re recording a breathtaking view, a family gathering, or a patch of wallpaper, you can capture the emotions behind your experiences in a video and preserve them in a time capsule called 1 Second Everyday. The app boasts an impressive 4.9-star rating on iTunes. The App Store’s editors called the app “spellbinding” and praised its “gorgeous design.” Tens of thousands of users have taken the time to write a positive review of 1 Second Everyday and thank the team for creating a unique and user-friendly tool. Cesar didn’t set out to create an app or change the world. He just wanted an escape from the advertising business, but his experience became about much more than getting away from work. Creating a video diary helped him reflect on his choices, strengthen his personal relationships, and make every day more memorable. After a life-changing year, Cesar realized such a project could do a world of good for others, so he started spreading the word, first in his TED Talk and today via a fast-growing app. 1 Second Everyday allows people to capture the ordinary and extraordinary moments that make up a full life. Couples can use this tool to hold onto the romantic gestures and little jokes that make their relationship great. You can save reminders of the things that are important to you by keeping a video diary on your phone or tablet.